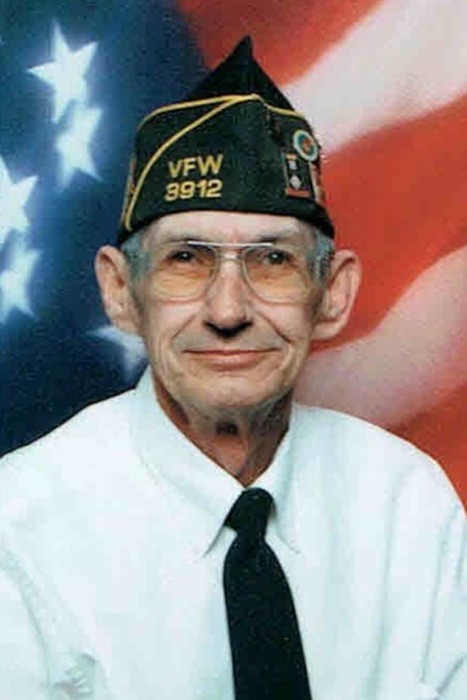 74-year-old, Phillip Dennis Burdell, Sr., of Litchfield, passed away Saturday, January 26, 2019 at 11:43 a.m. at HSHS St. John’s Hospital in Springfield, IL. Born October 8, 1944, a son of William Mose and Cassie Viola (Fredrick) Burdell. He attended Litchfield Schools and served in the U.S. Navy during the Cuban Missile crisis. After his honorable discharge from the Navy, Mr. Burdell went to work in construction and later as a cement mason and concrete finisher working out of Labor Local #90 located in East St. Louis, IL. Mr. Burdell worked for various contractors on several large projects. He then attended truck driving school and drove a semi for a few years before retiring. Mr. Burdell enjoyed fishing, darts, karaoke and baking. He was a member od VFW Post 3912 of Litchfield and was a proud member of the color guard funeral honors team. He married the former Linda Mae Speed on October 9, 1964 in Hillsboro and she survives. 4 daughters; Shelly (Ron) Hemken of Walshville, IL., Cynthia Greenwood of Litchfield, Sonya (Darin, Jr.) Hansel of Mt. Olive, IL and Tonya Burdell of Litchfield. 2 brothers; Richard (Vonda) Burdell and Raymond (Frannie) Burdell, both of Litchfield. 2 sisters; Billie Jean Pesavento of Staunton and Barbara “Butch” (John) Klekamp of Litchfield. 15 grandchildren, 20 great grandchildren, 1 great great grandchild. Preceding Mr. Burdell in death are his parents, three brothers- Charles Burdell, Bob Jordan and Fred Burdell. A sister, Bettie Jordan. Inurnment will take place on Tues., Feb. 12, 2019 at 10 a.m. in Camp Butler National Cemetery in Springfield. A celebration of Mr. Burdell’s life will be held in the near future. Announcements will be made at that time.